That&apos;s what crossed my mind when I examined the latest shots of Dove Cameron. The 21-year-old star of Liv and Maddie and Hairspray Live! first caught my attention back in 2015, solely on the basis of her dreamy, creamy, utterly flawless skin. She still has one of the most amazing complexions I&apos;ve ever seen, but recently, I&apos;ve wondered about the authenticity of the rest of her look. And apparently I&apos;m not the only one, because you guys sent in several requests for her Before & After! 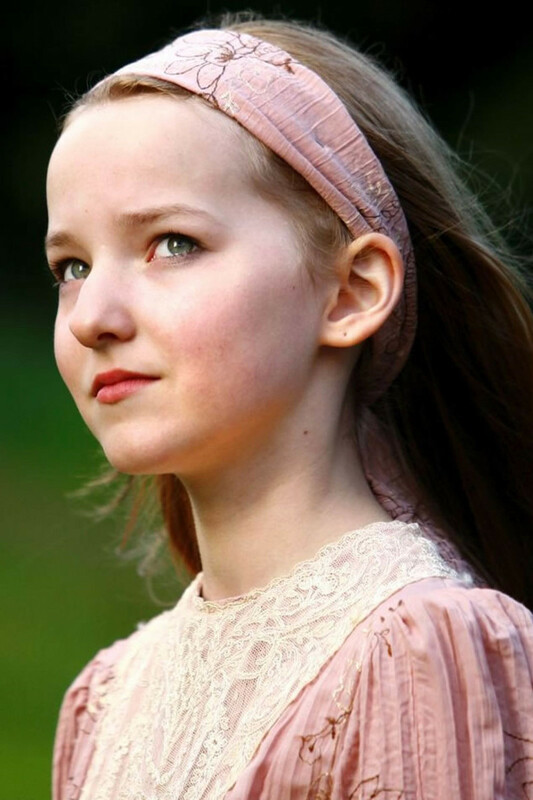 To understand what&apos;s happened with Dove, we need to go all the way back to this photo of her as a child. 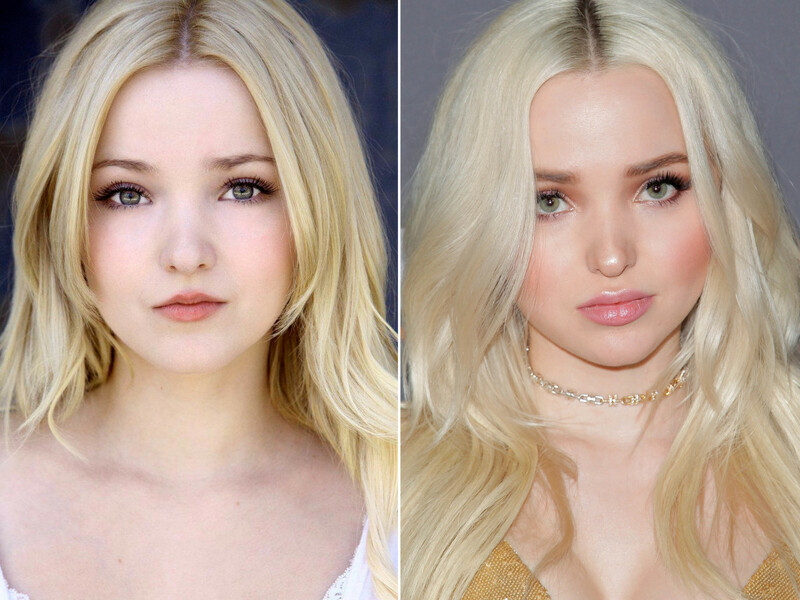 At the time, her name was Chloe Hosterman—she only became Dove Cameron upon moving to LA at age 14—and as you can see, she had a very different, very distinctive nose. Her lips were also on the smaller side, and her hair colour was a natural light brown. Dove Cameron at Variety&apos;s 2012 Power of Youth event. See what I mean about Dove&apos;s SKIN? So jealous. Her face looks a little fuller here (probably just teenage baby fat), and her hair colour is a now more flattering strawberry blonde. However, her lower lip indicates some interventions were already happening there, even at the tender age of 16. It looks swollen and bumpy, like filler gone wrong. What&apos;s interesting about this 2013 photo is that the bridge of Dove&apos;s nose looks completely flattened. I have to wonder if that&apos;s because of having rhinoplasty too young. Also, did you notice her dimples? There&apos;s some speculation that even they were attained through surgery (yes, such a thing exists now). The hair colour and matching brows contribute to the artificial vibe, along with what appear to be extensions. Here, either the hair extensions were taken out or Dove went several inches shorter, in a more reddish hue. I like it! Although it does emphasize the pink undertones of her skin, I think she looks super-pretty here. And her bridge doesn&apos;t look quite as flat. Dove kept the red hair through part of 2014, but as you can see in this shot, it&apos;s still not the ideal shade for her complexion. Her lower lip looks very full again, and she has started to play with dramatic false lashes. This photo, from when Dove was 19, is my favourite of the bunch. It&apos;s crazy how her skin just glows! Plus, she finally achieved the perfect buttery blonde. Without much detectable makeup—just lashes, sheer blush and a lip stain—you don&apos;t even think about any possible cosmetic interventions. Dove&apos;s Hollywood upgrades continued here, with not just better hair but more sophisticated makeup. Her brows were starting to grow out, but her lower lip looks suspicious. See how it dips in the centre, but is puffy on either side? That can&apos;t be natural! I&apos;m not sure I would&apos;ve recognized Dove in this photo. With her hair up and suddenly bushy brows, she looks very different, although she&apos;s still got that remarkably chiseled nose. Again, take note of her lips. The lower one has been re-injected, so it&apos;s bigger than ever. But she left the top one alone, which is actually a pretty clever way of throwing us off! Things took a sudden turn in mid-2016, when Dove became a light platinum blonde. With her ultra-pale skin, she can pull off this colour, but it&apos;s a more aggressive type of beauty look—especially with the lip injections and strobing. I don&apos;t understand this trend of dabbing shine on the tip of your nose! Dove Cameron at the 2016 &apos;Hairspray Live!&apos; press junket. Here&apos;s where Dove looks the most plastic of all! Her lips are now as big as Kylie Jenner&apos;s—with filler in both the top and bottom lips—and her brows have been dramatically over-drawn. Again, it really does look like she has more of a bridge to her nose now, compared to 2013-2014. Despite the heavy-handedness and her requisite false lashes, she&apos;s still a beauty. Dove Cameron at Amazon Studios&apos; 2017 Golden Globes After-Party. And that brings us to 2017! Dove just turned 21, and I did a double take with this photo, thinking it was Maddie Hasson. (Look here. Couldn&apos;t they be related?) Her skin is as beautiful as ever, and I like the makeup generally; these brows are much better than the last ones. Her lips have also settled down a tad. But her nose looks pinched, the nostrils are so narrow. Also compare this one to the first 2016 photo. Is it just me or does her face look wider now? Dove Cameron at the 2018 Golden Globe Awards. Dove cut her hair! I really, REALLY love this lob on her. She&apos;s 22 now, and it was time for a more grown-up style, since she was associated with super-long hair for so many years at Disney. To me, it also makes her look less "plastic." Dove&apos;s changes might not jump out at first glance, but if you look closely, they are there. The nose, the lips, maybe even the cheeks. With a mother who was willing to relocate the whole family to LA in order to pursue fame, it&apos;s not hard to believe that cosmetic interventions were on the table. Rhinoplasty is practically mandatory to get ahead in Hollywood these days, and it&apos;s no longer unusual for teens of Dove&apos;s age to get lip injections. Just look at Kylie and Kendall Jenner, Bella Hadid, Nicola Peltz and Bella Thorne. 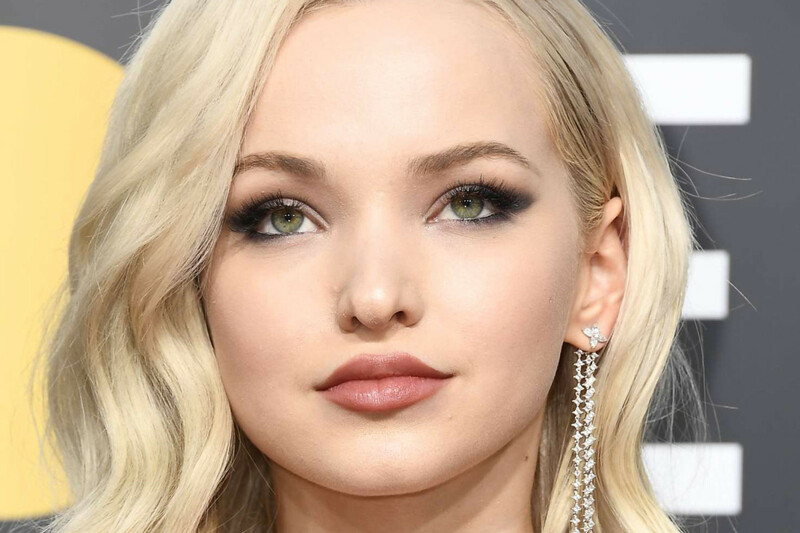 In the time I&apos;ve been casually observing red carpet photos of Dove, there&apos;s always been something artificial about her that I couldn&apos;t put my finger on. Now I think it&apos;s because she had her nose reshaped when her face still hadn&apos;t fully matured. Maybe even more than once. That would account for the completely flat bridge, which it looks like she later corrected. Also, I think her doctor(s) were way too aggressive with whittling down her nostrils and chiseling down the tip. Even naturally tiny noses aren&apos;t that narrow! How do you feel about Dove&apos;s beauty evolution?